Osip Mandelstam, who died in 1938 in one of Stalin's labour camps, is one of the greatest poets of this century. Brown's 1978 volume is a very full and important book which tells of Mandelstam's earlier life and gives an introduction to the poetry. Professor Brown tells as much as will probably ever be known about Mandelstam's early life, his studies, his literary relationships; and recreates in piquant detail the intellectual world of prerevolutionary St Petersburg. Indeed, the criticism of Mandelstam's three collections of poetry, quoted both in Russian and in translation, manages the seemingly impossible: the reader with no Russian begins to grasp - as though at first hand - how this poetry makes its effects, and he senses its originality and importance and its place in European literature. 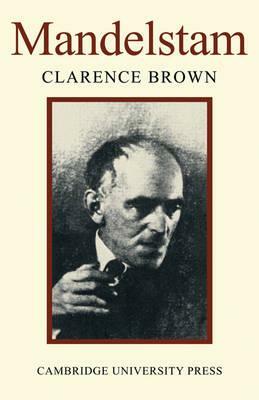 Professor Brown here presents the first critical study of the life and works. List of illustrations; Note on translation; Abbreviations; 1. Preliminary; 2. The most abstract and intentional city; 3. Studies abroad and at home; 4. Beginnings; 5. Snapshots from the Revolution and Civil War; 6. From the insane ship to hunchbacked Tiflis; 7. The wing of approaching night; 8. 1925-1938: silence prose, arrest, exile, sickness, death; 9. The romance of the precise; 10. Stone; 11. Phaedra; 12. Three poems of Tristia; 13. Transparent sadness: the classical in Tristia; 14. Here writes Terror: poems, 1921-1925; Notes to the text; Bibliography; Index.